* The term Kemanusiaan is a Malay word meaning "Humanities". It is derived from the form manu, a Sanskrit term which means "man" or "mankind". KEMANUSIAAN The Asian Journal of Humanities, formerly known as Jurnal Ilmu Kemanusiaan (Journal of Humanities) publishes theoretical and empirical writings on aspects of the humanities in Asia as well as those that are universally relevant and provide new knowledge to the broad area of the Humanities. 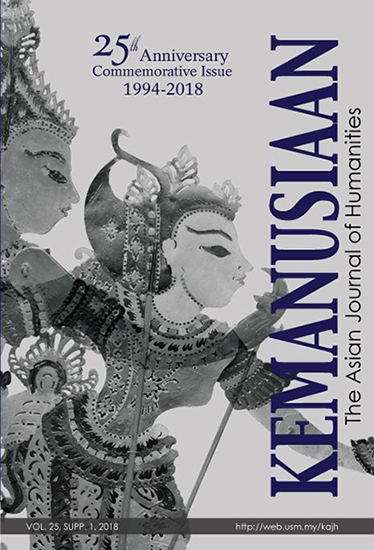 All articles published in KEMANUSIAAN The Asian Journal of Humanities are licensed under a Creative Commons Attribution 4.0 International License. Copyright © 2009 by Penerbit Universiti Sains Malaysia. All rights reserved.